Today's news that Peter Buckroyd, chief examiner of English for the Assessment and Qualifications Alliance (AQA) tells his examiners to award students marks when they write swear words like 'f*** off' (and nothing else) on their exam papers is grist to the mill of those who doubt the robustness and integrity of our exam system. The Times reports Mr Buckroyd as saying: "It would be wicked to give it zero, because it does show some very basic skills we are looking for – like conveying some meaning and some spelling. It’s better than someone that doesn’t write anything at all. It shows more skills than somebody who leaves the page blank.” By the same token, I suppose, a student who hits a teacher is showing more dexterity than a student who sits quietly in the classroom and behaves himself, and should therefore be rewarded for his PE skills. But such stupidity does not represent the exam boards' worst offence. The swearing student will only receive a few worthless marks. A far greater problem is the absurd way in which the boards change the marks attached to each grade every year after the event, rather than trying to set the standard before students sit their exams and stick to it. Pass marks should stay the same from one year to the next. Students should know that 50 per cent will always be a C at GCSE or a level 4 in the key stage 2 tests. Such change would require better preparation of the exam papers to ensure that the difficulty of questions is maintained, but that effort would be a small price to pay. To greater transparency and consistency, one might add a large dose of nous, a quality apparently in short supply at the AQA these days. The events that led to the resignation of Wendy Alexander is but another reason why so few people would want to be bothered with politics. The idea that she is corrupt is absurd. Yet the systems that are now in place give the impression that every politician is on the take, and encourage the destruction of good public servants every few months. Not all politicians forced out don't deserve it, but many are a victim of naivety or bureaucratic oversight. Wendy was a better politician that Iain Dale suggests - even if she never really shone as Scottish Labour leader - but I agree with his analysis that she is a victim of an over-complex response to concerns about corruption. And too many good people have had to fall on their sword because of it. To see the story of Dylan Thomas and his love of two women, The Edge of Love, last night. The drama set around the Second World War portrays a mix of passion, violence and bohemian amorality amidst the surrounding grimness of war. Matthew Rhys (from Brothers and Sisters) is good as Thomas, and Keira Knightley is surprisingly captivating as Vera Phillips/Killick, Thomas's childhood sweetheart. Sienna Miller is a bizarre fiery Caitlin, with a strange accent, and Cillian Murphy plays himself as Vera's soldier husband. The Welsh scenery is magnificent, and the bohemianism amidst the blitz convincing, but somehow the whole exercise is less than the sum of its parts. The newspapers are full of their anniversary analyses. 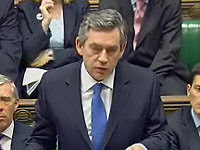 Few of them offer tributes to Gordon Brown a year after he became Prime Minister. Those columnists who spent their time rubbishing Tony Blair from the left have abandoned Brown with even more vehement opprobrium. But the best assessment of what is happening comes not from the dire mid-term polls or the failure of the voters of Henley to put Labour in third rather than fifth place. It is given by Peter Riddell in today's Times who recognises that the government has developed an appetite for reform in recent months that is largely passing the voters by. This is important, not just because Brown is taking the right long-term decisions for schools, health, energy and welfare. On the latter, even Fraser Nelson in the Spectator admitted that the Tories plan merely to claim credit for work begun by James Purnell. This week's dreadful Tory health policy which failed to recognise the need for any maximum waiting times - because the BMA don't like them - stands in stark contrast to the strong NHS reforms being introduced by Alan Johnson and the best of Brown's imported ministers, Ali Darzi. The academies programme has been speeded up and a radical programme to lift the fifth of weakest schools is underway. He is being radical on the environment and energy policy. Other big reforms are on the way in the coming weeks. The Tories have yet the show a very convincing hand: despite the credulity of some, their schools' policy lacks Labour's practical and ambitious edge and their health policy is simply anti-patient. But, of course, all of this has been obscured by the loss of credibility endured after the last party conference and particularly by the economic downturn. Unless the economy picks up relatively soon, there is little chance of Labour recovery. But if it does - as is possible in a two-year period before an election must be held - the reforms being introduced now will stand the government in good stead. And the government must continue to show the sense of purpose evident since Christmas however gloomy the polls and pundits. David Davis may think CCTV a gross infringement of liberty. Luke Akehurst offers a timely reality check from Hackney's housing estates. Could somebody explain why BMA spokesman and shadow health secretary for life Andrew Lansley was allowed to get away with such transparent obfuscation on his health 'policies' on the Today programme this morning? His made up figure of '100,000 lives saved' from Tory policies was given prominence on the news bulletins even though Lansley himself admitted that this was not a target, or even a promise, just a figure which might happen if the doctors are left alone. Then, his pledge to scrap 'process targets' was left unquestioned. Let us be clear what he actually means. First, the Tories plan to allow waits of twelve hours and longer in accident and emergency wards just so they can scrap 'process targets' that require a 4 hour maximum. Second, the Tories plan to allow waits of six or twelve months for hip replacements and many other operations as they will scrap the 'process target' of 18 weeks consultation to surgery that the Labour government is close to meeting. And third, they would have no 'process target' on hospital cleanliness, despite 'clean hospitals' being one of their five main goals at the last election. Instead, they will cross their fingers and hope that the doctors will do the decent thing. Just as happened when GPs were given a whacking great pay increase in the hope that they might provide a better service for patients out of hours. None of this was revealed on the Today programme, where Mr Lansley was allowed a freedom to say what he pleased - and talk in jargon - that is denied any minister. The CBI has withdrawn its support from the bolt-on academic Diplomas that Ed Balls added to the vocationally oriented planned qualifications for 14-19 year-olds. It is right to call them an "unnecessary distraction". The government is in severe danger of losing the essence of Diplomas in its confusion about their purpose. Diplomas were originally intended to provide robust vocational and applied qualifications in key economic sectors as a choice for students alongside GCSEs, A levels, apprenticeships and the International Baccalaureate. Instead, they have been turned into a difficult hybrid which makes sense in some subjects, like IT and engineering, but not in others, especially those that may prove more attractive to the young people the government wants to see staying in education or training until 18, where a more practical focus is essential. Last autumn, Balls starting hinting that the Diplomas might replace everything else by 2013, though he wisely insisted that students would decide. Diplomas in science, humanities and languages were added to the mix. Shortly afterwards - completely missing the point - the Government decided to abandon a modest funding for schools and colleges that wanted to prepare for the IB (which requires a mix of disciplines, unlike Diplomas), although all the signs are that more schools are likely to adopt the IB regardless. But the government failed to address the biggest problem with Diplomas: a lack of clarity about their purpose (as opposed to what they are not). The result is that few expect more than 20,000 - half the government's target - to start Diplomas this autumn. Colleges and employers remain anxious that the practical element so crucial to the new qualifications is being eroded by an obsession with promoting a generic brand rather than each Diploma on its specialist merit. So, it is good that the CBI - which is a firm supporter of the principle behind Diplomas as originally envisaged by Tony Blair - has come out with its statement today. Any other supporters of Diplomas who want them to succeed should speak up now before it is too late to get them back on track. News that the MDC leader Morgan Tsvangirai - who on any legitimate basis should already be running Zimbabwe - has felt obliged to withdraw from this week's election in the face of the most appalling campaign of intimidation by Zanu-PF is an indictment not just of Robert Mugabe and his henchmen, but of his closest comrade Thabo Mbeki as well. That Mbeki has failed to persuade his friend to run a free and fair election shows the utter bankruptcy of his policy of silent engagement. And his failure is not only likely to result in renewed misery for millions of Zimbabweans, but also for his own countrymen who face the prospect of a further influx of refugees from Mugabe's tyranny. The time has come for Southern African countries to act (preferably with some support from the United Nations, though few would hold their breath waiting for it). If that means Mbeki persuading Mugabe that he can leave now that he has "won", so be it. At least his friendship might do the country a favour. But inaction can surely no longer be an option. Which means that South Africa must show leadership in supporting the Zimbabwean people in their time of need. True to form, the National Union of Teachers has hit out at government plans to help 638 schools to set their sights at 30% or above of their pupils gaining five good GCSEs including English and Maths. The NUT attacked a similar move in 2000 by David Blunkett to get all schools above 20% and then 25% in any subject (virtually all schools have met that goal). The government has rightly divided the schools into those likely to meet the goal soon, those with a good chance of doing so, and those where radical action is needed. This, to the NUT, is a process of vilification. The NUT points out that some if the schools are rated 'good' by Ofsted. And they get good 'value-added scores'. But neither of these measures should be enough on their own. When Ofsted rates a school good or satisfactory, it means that it has the capacity to make good progress; it is unlikely that many of those needing radical action fall into this category. Indeed the government's sub-division of the 638 recognises that some have such capacity: the target is for 2011 not the 2007 figures available today. The NUT are onto something about contextualised value added (CVA, the government's preferred value-added measure), but not the point they think. CVA is a hugely complex exercise in excuse-making which makes allowance for dozens of social factors. 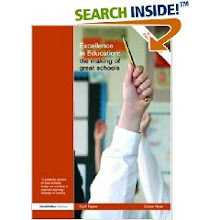 By avoiding any minimum standard of success, it has allowed schools to avoid addressing the need for greater ambition. It does not, for example, give any extra credit to schools for its grades in English and Maths, so it is not surprising there is less alignment than their should be. The government and Ofsted should ensure greater alignment, and CVA should be changed to credit good English and Maths GCSEs properly. But no student is going to go to an employer with a couple of GCSEs demanding a job on the grounds that his or her school has a decent CVA score. Benchmarks like this - or floor targets - have been the unsung educational success story of this government. Ministers must stick to their guns. Can we avert a Zimbabwean nightmare? Watching last night's shocking BBC Newsnight and Channel 4 News reports from inside Zimbabwe, it is hard to see how Robert Mugabe can fail to steal the presidential election. His torture camps for dissidents, his hijacking of the media and his use of the state security apparatus to cling to power stack the odds against Morgan Tsvangirai and his MDC party. Yet, even amidst such gruesome provocation, people were telling reporters that they would vote against Mugabe. The United Nations attitude has predictably been low key, as its wont when any country goes to war against its own people. It should be condemning in the strongest terms the destruction of democracy. But the real tragedy has been the lack of guts among many of Mugabe's Southern African neighbours, not least the gloriously wrongheaded South African leader Thabo Mbeki, whose continued embrace of Mugabe amidst it all has succeeded in making his successor Jacob Zuma appear statesmanlike. That is why we should salute the Swazi parliamentarian Marwick Khumalo (pictured), who heads the Southern African observers of this increasingly farcical poll, for his no-nonsense condemnation of the violence, for laying the blame where it belongs at ZANU-PF's door and for promising not to endorse the run-off if the violence continues. And we should also congratulate Botswana for its strong condemnation, the more powerful as it comes from a country which has a successful democracy since independence. Meanwhile, I share Iain Dale's suggestion that the rest of us who feel so powerless should donate to the Friends of Zimbabwe in their efforts to give people the chance - however remote it may seem - of a fair election. There are some good things in today's speech by Lib Dem leader Nick Clegg on education. In particular, his idea of free schools is fleshed out in a bit more detail, and represents a break with the traditionalists in his party on academies and trust schools. It is also an advance that the party now accepts testing at eleven. But Clegg has got itself caught up in the foolishness of fashionable thinking in his attack on 'too much testing', his suggestion that there should be no consistent measures at 7 and 14 and his moans about central diktats. What he ignores - along with the bien pensant commentariat - is that testing serves two main purposes. The first, a measure of accountability, is arguably preserved with the retention of tests at 11 and GCSEs (although many infant schools are not the same as their junior partners); but the more important value of contemporary testing is its contribution to lifting individual ambition. And that requires a little more than the tests at 11. Any party that is serious about raising standards for those who currently don't attain their best would see testing as part of the solution, not part of the problem. For the Lib Dems, Clegg's speech is certainly an advance, in that it is no longer a simple recitation of teaching union shibboleths; but that is not really saying an awful lot when it is set alongside the distance travelled by the two main parties these last fifteen years - and, more significantly, by the vast majority of schools. To the Granite City of Aberdeen for the weekend, partly to rediscover some of the family roots (who include a controversial Victorian Episcopalian minister and a 17th century academic). I have never been to Aberdeen before, and the city lives up to its name. There is a beguiling attraction to the rows of granite houses, and the Old Town around the university is particularly impressive. We enjoyed a splendid fish dinner by the harbour at the Silver Darling restaurant and an excellent Italian meal at Rustico. And we were impressed by the all-frills service on Eastern Airways, which does the Bristol-Aberdeen route. But we were also left in no doubt that the city deserves its reputation for grim weather (though we were assured last weekend was different) with plenty of rain and chilly winds giving it a distinctively Northern atmosphere. The early tallies - and they are usually reliable - suggest a victory for the No campaign in the Irish referendum on Lisbon. If so, the result owes a lot to confusion and Cowen. The new Fianna Fail leader started well but went downhill quickly thereafter, substituting his foul tongue for serious debate and crudely attacking the opposition parties at a time when he needed their support. The Yes campaign was shambolic, where the clever and well-funded No campaign caught the popular imagination. Instead of coming together with a consistent message and a seriousness of purpose, the main Irish political parties seemed more concerned to do their own thing, resulting in posters boasting dismal portraits of the party leaders and screeds of unco-ordinated reasons to vote Yes which were only marginally more readable than the text itself. As with all such Irish referenda, many of the No arguments were specious and irrelevant to Lisbon; but when confusion replaced coherence on the Yes side, it was inevitable that many of them would be believed. But - aside from the European Commission and those seeking a more coherent structural organisation for EU bodies - the big loser from the Irish referendum is Brian Cowen, whose Biffo nickname will surely be uttered with feeling in the corridors of Berlaymont today. All credit to the parents in the Bolnore School Group in West Sussex who have become the first parents to be given the chance to set up their own school under the competition rules introduced by the Labour government. (South London parents won their own school through a more tortuous process in the past). With the last two education acts, parents have far more such power than they ever did in the past. Councils have to invite competitive proposals for new schools. It's good to see these powers being used. The first of many, I hope. The idea that David Davis's self-imposed by-election in a Tory seat that Labour could never expect to win will provide some sort of public verdict on the 42-days decision is utterly ludicrous. Given that the Lib Dems will apparently not run, it is grandstanding of the highest order by Davis. The idea that six rather than four weeks is a fundamentally different order of loss of liberty is quite absurd. What the new law does allow, with serious safeguards, is some flexibility for the police in the most serious terrorist cases. If Davis gets a good result, as must be probable given constituency politics, Cameron and those in the shadow cabinet like Michael Gove who have some understanding about the seriousness of the contemporary terrorist threat will be the losers as the shadow home secretary will become insufferable. He will have got his revenge for his leadership election loss and a payback on other issues like grammar schools where Davis has sniffed a sellout. But if he loses, can we expect a Tory u-turn on the 42 days issue? My column in the Independent today makes the case for a cross-party review of university tuition fees. You can read it here. It had started on this morning's 8.00 Radio 4 news. Kim Catcheside's report about skills accounts for youngsters in England (with "England" repeated several times) was accompanied by news of apprenticeships in the Welsh valleys. The former is a genuine innovation; the latter was the sort of filler that normally gets a decent airing in a local evening paper. Apprenticeships like this are being offered across the UK. The Welsh story was not even strong enough in its own right to get a headline on the BBC Wales Online News website (at least as of 9.37 this morning). The reason for this sudden interest in the Valleys? A report from the BBC Trust whose chairman Sir Michael Lyons tells us: "The good news is that the public have told us that they want to learn about other parts of the UK. This should inspire the BBC to meet this challenge and search for opportunities to make what is happening in different parts of the UK relevant and interesting to all audiences." What Sir Michael has decided this means is that we need to be told what's happening in Swansea, Aberdeen and Derry every time we learn about schools or hospitals in England, whether it is genuinely of wider interest or not. Now, I happen to agree that where there is a genuine innovation in a nation or region, the BBC could do more to tell us about it. Maybe they should have reported the Welsh and Scottish elections more fully. And I have a bigger beef about the BBC World News which generally regards British news as inferior and chooses to report even less news about the UK than CNN. But the idea that what the public wants are lots of tokenistic out-takes from dismal regional news bulletins is fanciful. Why don't the BBC sharpen up their regional and national news rather than patronising us with tokenistic stories that would not make the UK bulletins on their own merits? "That was so below the level of debate," squeaked David Cameron, sounding ridiculously hurt, when the Prime Minister quite reasonably pointed out to him at PMQs today that Conservative Home had opposed the Tory party's opposition 42 days. This was Brown's best performance at PMQs in months. But more interestingly, it was the first time that true petulance of Cameron almost came to the fore. Cameron has been successfully getting under Brown's skin for months. Petty as such successes may seem in the real world, if Brown has found a way of giving as good as he gets, it will do a lot to restore his standing with the political pundit class (and, perhaps, the wider public). Sir Simon Jenkins tells us that the plan to improve 638 secondary schools where fewer than 30% of pupils get five decent GCSEs is 'another failed-schools initiative' which confirms that "state education has grown worse in the last decade." Deborah Orr believes that the "threatened closure of hundreds of failing secondary schools [is] confirming that standards are not, in fact, rising like angels." In fact, the reason why this programme will work - at least for the majority of the schools on the list - is because standards have risen in so many schools over the last ten years using a similar approach. And they have done so by combining the rigour of individual targets for pupils with the pressure of floor targets for schools not unlike that confirmed yesterday. Why else were half of schools - 1610 - at the below 30% level ten years ago, but only a fifth in that position today? Moreover, the programme relies heavily on academies - which are already working in our inner cities; they always welcome informed commentators for a visit - and the leadership elements that have improved inner London standards through the London Challenge. Within schools, there is a lot of evidence that both leadership and teaching standards are significantly than they were ten or fifteen years ago (and that owes much to inspection, testing and tables introduced by the Conservatives as well as Labour's more targeted approaches). The idea that it is unreasonable to expect an inner city school to reach a target such as this is negated by the many that already do so, including a majority of secondary modern schools. But because the newspapers largely ignore what has worked well - and pundits too rarely visit inner city schools - this is rarely reported. Of course, there are aspects of the system where there is still more to do - and many schools that have benefited from significant revenue improvements do need the government's school building programme to progress beyond the inner cities rather more quickly. So I have some sympathy with Alice Miles on this point. But I have rather less with her example of a local secondary school looking a bit tatty being an indictment of the Labour government. Perhaps the head forgot to mention to her that like every secondary school he now has a £113,000 a year devolved capital budget to spend largely as he and his governors choose, as well as a significantly higher devolution of revenue funds; the devolved capital budget was precisely £0 when the Tories were in power. Today's Sunday Telegraph poll may confirm the dismal findings of earlier recent polls. But within today's Sunday papers, there is also a very clear sign that the government is getting it right on three of the most important policy areas. First, the government is right to want to have the precautionary maximum 42-day detention period. Jacqui Smith gave a characteristically fluent account of the measure this morning. But its best defence comes from Matthew D'Ancona in the Sunday Telegraph. And the measure is supported by a majority of the public. Second, Alan Johnson delivers a cracking case for his plans for more extensive GP surgeries and polyclinics in the Observer. The idea that it is worse for patients to be able to get an X-Ray or ECG on site, or to get minor injuries dealt with locally rather than hanging about for four hours in A&E, is such common sense that once delivered, patients will wonder what the fuss was about. And third, the Government's plan to push for a rapid turnaround of underperforming schools with the support of successful heads and a big extension of Academies is exactly what is neededd for such schools. To those who say 'the government should have done this sooner', ministers can point to the fact that where one in two schools used to get 30% or fewer five good GCSEs, the figure is now one in five. But one reason why this policy is superior is its use of floor targets, one of the most successful policies of the last ten years, accompanied by structural reform. What these three policies also have in common is that they are opposed by the Conservatives. Aside from Lord Tebbit and Ann Widdecombe, the 42 days are publicly opposed by the party. Tory health policy is being shamefully written by the BMA. And on education, the Tories would scrap targets, even when they are so patently a lever for improvement - and for pushing the sort of structural reform with which, at least, they share Labour's ambition. The more the government can show the sense of purpose evident today, the more likely it is that they can recover their poll position. If, in the process, the bareness of Cameron's policy cupboard is also exposed, that would be no bad thing. Watching Hillary's gracious and decisive endorsement of Barrack Obama was also a sign of what might have been. Her speaking is far more assured that when she started her campaign. And she delivered a speech of enormous statesmanship and skill which was right for her campaign and right for the occasion. 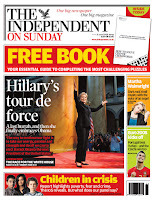 Today's Independent on Sunday is absolutely right to see it as a tour de force. Let's hope her supporters do throw their weight behind Obama now. To see Ben Affleck's brilliant but disturbing story of child abduction, Gone Baby Gone, last night. Affleck's directorial debut sees two Boston detectives - played with real feeling by his brother Casey Affleck and Michelle Monaghan - getting more than they bargained for when they try to help a family recover a missing toddler. Along the way, they encounter their share of ethical dilemmas. Its UK release was delayed because of supposed echoes with the Madeleine McCann disappearance. But as a film, it was worth the wait. Dennis Lehane's story has plenty of gripping plot twists. There are great supporting performances by Ed Harris and Morgan Freeman. And the movie itself demonstrates a sureness of touch in Affleck's direction which suggests that he should stay on this side of the camera in future. John Major on the radio. Nannygate with a senior Tory. Dodgy dealings (allegedly) with Tory parliamentarians. Unconvincing petulant front bench Tory making excuses for it all. So it is just like 1995 all over again! To see Liza Minnelli in fine voice in Birmingham last night. This child of the sixties plays her mother's daughter to perfection and rewarded a devoted audience with songs from Cabaret, Gypsy and Chicago in a belter of a first half where the singer who has had more than her fair share of illness showed just how strongly she had overcome it. The second half was less impressive with an overlong tribute - accompanied by a take-off of Andy Williams and his brothers - to her mentor and godmother Kay Thompson. But she redeemed herself with a cracking finale of New York, New York that showed her splendid orchestra to full effect followed by a tender rendition of I'll be Seeing You. Clearly overwhelmed by the audience response, she took several encores even as the lights came on. She's a living legend, and she knows it. Bill Clinton was right about one thing. The media has been hopelessly biased in favour of Obama and against Hillary. The coverage of her was mysogynistic, boarding on the hysterical, and the glee with which BBC and Channel 4 correspondents recorded Hillary's final defeat over the last 24 hours confirmed their extraordinary lack of objectivity. Yes, Hillary made some mistakes; and Bill sometimes misspoke. But where Obama did the same, with a few days' exception, he was given a pass. His people could trash her and her supporters with impunity; if she attempted to draw attention to his flaws and flawed supporters, she was the one at fault. Despite all this, Hillary remained - though the media haven't shared this - the stronger candidate against Obama with a stronger chance of winning more crucial electoral college votes. She beat him marginally on the popular vote when Michigan is included, or came within 0.1% of him without it. She won South Dakota last night, which polls said would go to Obama. So, even though the bizarre weighting of the Democratic primaries and caucuses meant she lost, she was hardly the sure-fire loser that our media would have us believe. Nevertheless, Obama is clearly now the candidate, and it is vital that Hillary does all she can to bring her supporters behind him, particularly in crucial swing states. He has shown a graciousness of late that had hitherto eluded him, which is a good sign. And he is clearly a much stronger candidate than either the woeful John Kerry in 2004 or Al Gore in 2000. But both Obama and McCain now face some real testing on issues of the economy and international policy, with McCain weaker on the former and Obama on the latter. Rhetorical flourish will get Obama far but he will need to become stronger in longer TV interviews and dealing in details; he will need to show a ruthlessness about his team and 'advisers' over the coming months that has previously been lacking. The fact that far more of his support has come from liberal caucuses in the Democrat contest should not deceive him into imagining that such positions will propel him to victory in the autumn, not least in those same states. 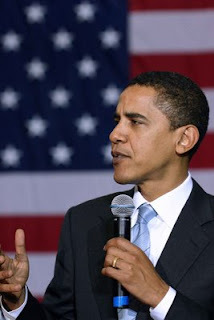 Obama will need to appeal to the centre-ground now - and that will require a change of tune and a clearer understanding of the issues that matter to middle America. Obama may be (just) the favourite now; but he has had an extraordinarily fair wind behind him up to this point. His challenge now is to anticipate the next phase of the campaign - and the changes needed by him to win it - with the same skill that he used to appeal to liberals to win the Democratic nomination. I hope he succeeds in doing so. Daniel Finkelstein and Nick Robinson report a flurry of interest in Jacqui Smith following her splendid performance at the PLP last night. Of course, any speculation that one is set to be leader can be the kiss of death, not least with Team Brown. But it is good the media are now starting to see the Jacqui Smith that those of us who worked with her down the years already know: a woman who combines the down-to-earth experience of a former schoolteacher and a mum with a steely determination and excellent political antennae. Her promotion to the cabinet was later than it deserved to be, but owed much to her work on the 2005 schools bill, which gave her great kudos in no.10 and saw her becoming chief whip. But before then, she had built considerable experience in a host of Whitehall departments. Her steel was on show recently when she calmly dealt with the rude reception she received from the police trade union. Don't forget too that in the last general election, she managed to ensure that there was no swing to the Conservatives in her Redditch seat, though her share of the vote fell by just under 1% (although it is now target no 42 for the Tories). This at a time when 'safer' seats than hers were falling. And although the commentariat have been slow to recognise it - not least because of an unseemly turf war with Jack Straw - this blog has long recognised her strength. But I'm not going to join those saying that Jacqui should be the next leader of the Labour Party. Only because I don't want to scupper her chances. Labour has greatly extended diversity within state schools, and is expanding academies by 55 a year, reflecting local need: academies largely replace the 638 low-attaining schools where fewer than 30 per cent of pupils gain five good GCSEs. And academies reduce social segregation by attracting a more comprehensive intake than the sink schools they often replace. The Tories' approach is more laissez faire - and more expensive. Sweden doesn't pay the capital costs of free schools. And this is the Achilles' heel of the Tory approach: they will go into an election effectively scrapping planned new schools in dozens of constituencies. By providing 100 per cent capital, they reduce risk for the promoters and invest in a lot of failed projects. They also could greatly reduce the dynamism in the Swedish system, arguably only possible without huge state capital investment. Nevertheless, there are lessons for Labour in the Swedish approach. Despite the 2006 Education and Inspections Act, it is still too difficult for diverse providers to establish new schools. Local authorities should move much more towards becoming commissioners.The current system requires huge pressure from the centre on recalcitrant authorities - though attitudes are changing - and future reform should require authorities to respond more readily to demand for diversity from parents. Automatic capitation for sustainable proposals with clear parental backing would be a good start. It would be unwise, as the Tories propose, to attach automatic capital funding. Easier access to suitable disused public buildings, though, might be a good alternative. Subsidised school transport should be extended to support all parents' choices. More diversity would help primary as well as secondary schools. And councils should actively encourage parents interested in starting their own schools. But we shouldn't underestimate how much freer schools in England are than most of their international counterparts. Our level of financial delegation to head teachers - extended by Labour - is unusual. Our parents can access more objective information than most. And the diversity spearheaded by academies and trust schools places English schools in the forefront of education reform. Let's learn what we can from Sweden, but don't underestimate how far we've come. I suppose having the leaders on page 2 is a good idea. The Comment sectiion looks a bit confused but I expect I will get used to it. And I can even wear the virtually unreadable typeface for the T2. But who decided that it makes sense to run the Times crossword the full vertical length of the page rather than as a horizontal half page that can easily be folded? One can only assume this design genius has never had to take the train. Time for a rethink on that score, if nothing else, surely? 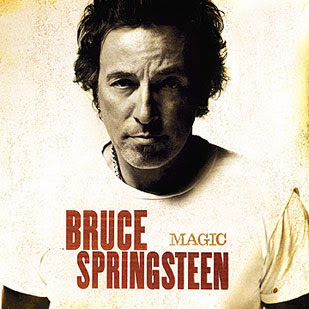 To see Bruce Springsteen in cracking form for a magnificent two-and-a-half hour set at the Arsenal's Emirates Stadium on a balmy early summer Saturday evening. Springsteen managed to bring a remarkable intimacy to the proceedings, despite a 60,000-strong crowd, missing few opportunities to engage with his audience. He belted out a mix of old favourites like Born to Run, several songs from his brilliant Magic album and a host of thirty-year old tunes from Darkness at the Edge of Town backed brilliantly by Nils Logfren and Clarence Clemons among others. He finished with a cracking rendition of American Land, a bittersweet Woody Guthrie-like ballad that he and the E Street Band delivered with the vibrancy of the Pogues. There are few rock stars who can give a performance as powerful today.